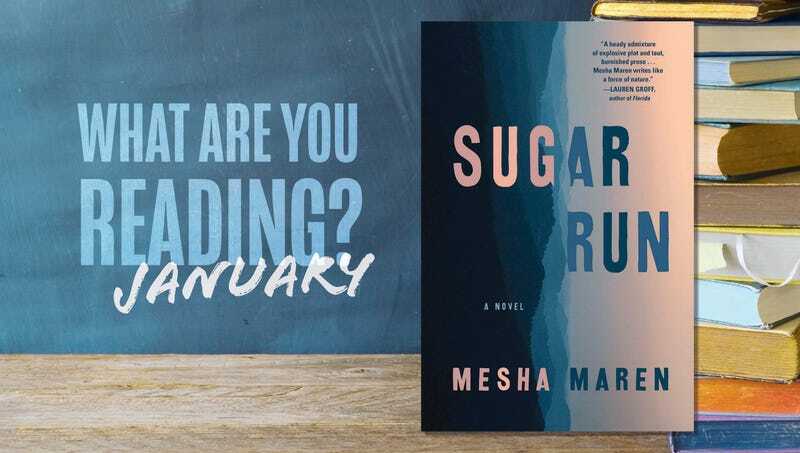 What are you reading in January? Filed to: What Are You Reading This Month?Filed to: What Are You Reading This Month? In our monthly book club, we discuss whatever we happen to be reading and ask everyone in the comments to do the same. What Are You Reading This Month? I’ve long been a fan of YA lit, but less so of mysteries—I’m the kind of person who jumps a foot if somebody startles me at work in the middle of the day, and there are plenty of other genres that are better suited to my low threshold for dramatic tension. Which is possibly why I waited a year before reading Truly Devious, the first in a series of YA mysteries by Maureen Johnson (who, full disclosure, sent me a signed copy of Truly Devious last year because we’re friendly on Twitter; I’ve been a fan of her work for some time, and I don’t know her in real life). Truly Devious takes place at an oddball elite boarding school in Vermont, a two-year high school for a handful of students who have intensely passionate interests and curiosity, like building machines, or writing novels, or, in protagonist Stevie Bell’s case, solving mysteries. Stevie applies to Ellingham Academy based on her interest in a nearly 90-year-old mystery at the school that involves one death and two disappearances. There are things that are predictable: Stevie immediately sets forth to solve the case that nobody else could crack; she feels at home at Ellingham, but also worries that her acceptance was a mistake; she has a confusing and complicated crush on one of her fellow students. But with that as a framework, Johnson builds her most original and elaborately plotted book yet, a novel with overlapping mysteries from the 1930s and present-day that she carefully unspools chapter by chapter. As one mystery appears to resolve, another one opens, and Stevie and the reader move in ragged parallel as the story moves between time.